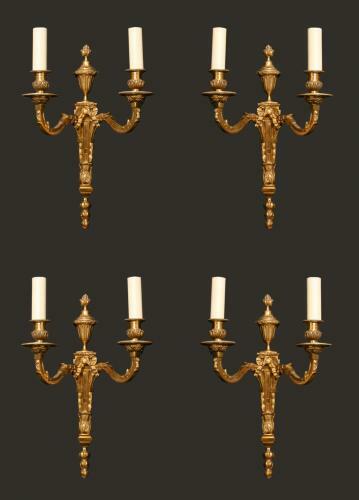 A set of four, two arm gilt brass, Louis XVI style wall lights. Professionally wired for electricity. Early 20th century.